Home Lifestyle Fashion How I fell in Love with Daniel Wellington? 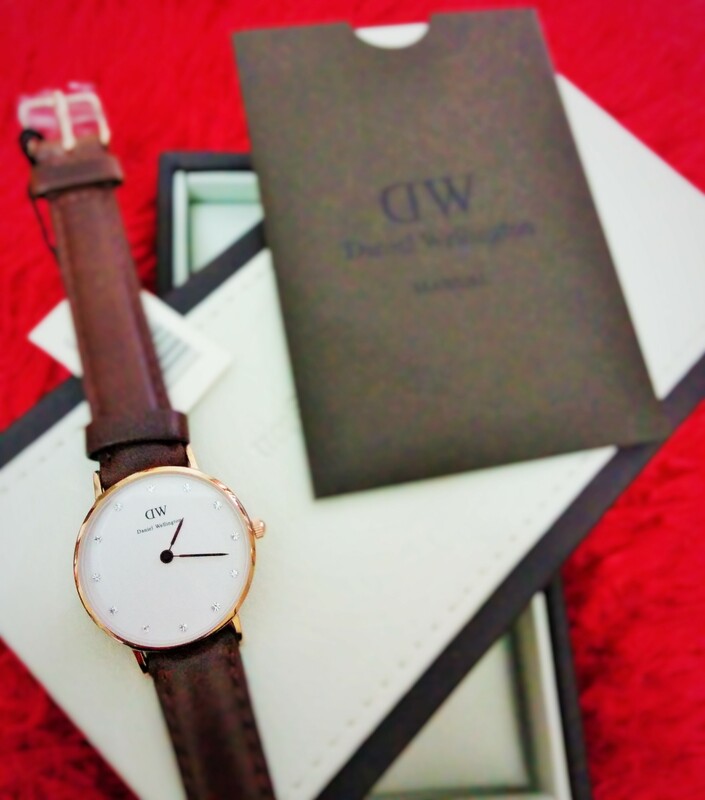 Daniel Wellington – yes at last, I’m writing about this. I have been too busy with my placements schedule and my video blog and couldn’t really take out time to talk about this. So, what is Daniel Wellington? People in India might not be familiar with the name. Daniel Wellington is a Swedish watch brand that deals in some really classy and elegant watches. The story of the Daniel Wellington begins when the founder of the brand goes on a world trip and he finds a guy named Daniel Wellington. Not only he gets impressed by his personality but also he falls in love with his watches that consisted of old NATO strips. So, Mr. Founder goes on to start his own brand with the name of the same guy Daniel Wellington. Well, that seems a pretty good story for me. But does that really matter? No. And as soon as the web page of their site loaded, I fell in love with the brand. The watches were exactly how I like – very simple but very stylish. Now, I really wanted one of them. And so started my struggle to contact the people and ask them to send me a watch if possible. And luckily, those people not only responded but also offered me to choose a watch for myself. Another add-on I got is that apart from the review, they allowed me to keep the watch. Yes, forever! Excited I was, I just messaged them which one I wanted – A Classy Bristol from women section (with a really heavy heart for I wanted more than one). In just a few days, the watch was in my hands. And since then, my friends have been complaining to me for I have been showing off my Daniel Wellington watch all the time. But when you get something as cool as this, a show off is a must. 😛 Isn’t it? All I do is wear it all the day. My wrist is always exposed so that people can look at the Daniel Wellington I wear. That’s fun. But on a serious note, I love wearing the watch. The watch is really thin and looks perfect on my not so thin wrist. Also, the leather strap – it is really comfortable. I sweat a lot and even a watch is a big issue in summers for me. But Daniel Wellington has never given me any trouble till now. And it is waterproof. Yes.. It really is. Proved! If possible, share this post. That would help me get those people do a giveaway and this way, you can also win a watch of your choice by Daniel Wellington. Hey Kim, You made a good choice. These watches seriously look so clean and classic. And they just go with any type of outfit. And yeah! even the one I have has small crystals on it (or at least that’s what they seem to me) and they look super awesome in low light. You have mentioned that they have started business in india… did you order it online from website? or purchased it at a local store? Mumbai? At the time of writing this article, it was online. Thanks… just ordered it online. I was thinking of this one from really long time, your post just worked like a trigger 🙂 Cheers!! I seriously want to get the entire collection – Both men and women.. they look so cool and classy. Don’t they? I stumbled upon your post while researching on DW watches before I order. Can you please tell me how their shipping experience was? How many days did it take and was there any issue with customs? Thanks. Can’t wait to get this watch and your reply will help greatly. When I ordered the watch, it was actually shipped from their head office and as the watch had to come through a long route, it took almost 8 days as far as I remember. But then, I kept tracking my parcel and I didn’t feel frustrated over the time taken. The watch was delivered at my home. I ordered it on the website and the just waited and got it. No custom issues at all. Your story was Interesting to me! I never heard the name of daniel products. First time i can see this. i have same thinking like you. Few weeks ago i ‘m searching for watch on internet then i saw a watch named denial wellington. This is exactly the watch what i looking for this is really like love at first sight. I’m from punjab can you tell me if you know where i buy dw in punjab or online. I am Die hard fan of Daniel Wellington watches since my collage time. Recently I purchased a Daniel Wellington watch from H&H Jewellery Store in Melbourne Australia. Thanks for the Review, Manpreet! Do you recall paying Custom Duty when you got this watch delivered? Hi , I’m just visiting. I’m not sure that you will see my comment. Now I’m living in India. I want to buy this watch so bad. I am sorry but I don’t have much idea about the custom duty. I was sent the product by the Daniel Wellington team and hence, didn’t have to pay any duty as it was a gift. Hi, awesome post! I did’nt know that Daniel Wellington watches is waterproof! How much water do you expose it for? Do you wear it while you are swimminh? Hi there friends, pleasant post and good arguments commented at this place, I am in fact enjoying by these.